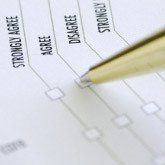 UniPrint can assist you with all your survey requirements. 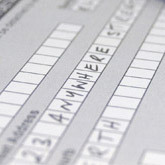 We can simply print the material you provide or manage the whole process for you. If you need assistance with the set up of the survey, we can prepare the artwork for you. In addition we can set the survey up in TELEFORMS which allows us to configure the survey suitable for scanning the returned surveys. 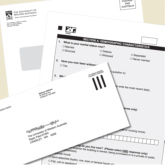 We can then send you a .CSV file of all the responses plus a pdf of the returned survey.